People can find a number of different websites that offer Phi Phi Island information and Phi Phi Island resources. Though some of these websites can be helpful, most of them provide little or no information. 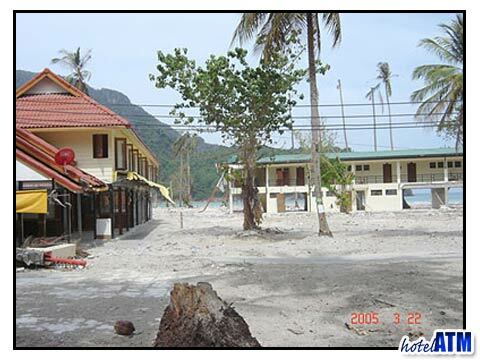 Imagine the traveler who relies on information on an old website that failed to mention changes since the Tsunami only to learn that the hotel they have been trying to book is not yet rebuilt. Or what about the traveler who relies on information about a restaurant that is simply untrue. In order to get the best Phi Phi Island information you want to visit a website like phi-phi.com that includes a forum that is unbiased and unedited. You can find out the real story from real travelers rather than reading what public relations firms say about the hotels and restaurants that hire them. Though this is not always the only way to source information on Phi Phi island, this is a good start. Everyone has different likes and dislikes, wants and needs. Every one's ultimate holiday is different and that means you will want to find the Phi Phi Island resources that match your specific needs and tastes. You can find information and Phi Phi Island resources whether you are on a Phi Phi champagne budget or a beer budget when visiting Phi Phi Island. You can also visit the Phi Phi forum and get information from people just like you who visited the island. See their photos, hear about their experiences and decide what the best options for you are. Phi Phi Island is a great holiday destination for singles, couples, families and friends. You want to get the most out of your experience and that is why you want to spend some time visiting websites and learning about the Phi Phi hotels, resorts, restaurants, bars, shops, beaches, sites, sounds and tastes of this great island. The more information you have and the more reliable that information is the better you will be able to enjoy a wonderful holiday on this island paradise. The forum and the information on all of the pages on the comprehensive website are made specifically to help you plan the best possible holiday. Whether you choose a 5-star Phi Phi resort or a 2-star Phi Phi resort depends on your needs and your budget, but the website will help you make that an informed decision. Plan the ultimate Phi Phi holiday by getting the best information on Phi Phi Island and all the most updated Phi Phi Island resources on.